Huawei as a brand is one of the best mobile phone brands in the world and a force to reckon with when it comes to powerful smartphone making. Not even the negative publicity surrounding the brand is able to slow down the brand’s success, as it keeps going strong and on its way to becoming the second biggest smartphone maker in the world. Just few days after the launch of its latest budget smartphone, Huawei P Smart(2019) in Europe, Huawei has launched a new budget smartphone called Huawei Y7 Pro(2019). 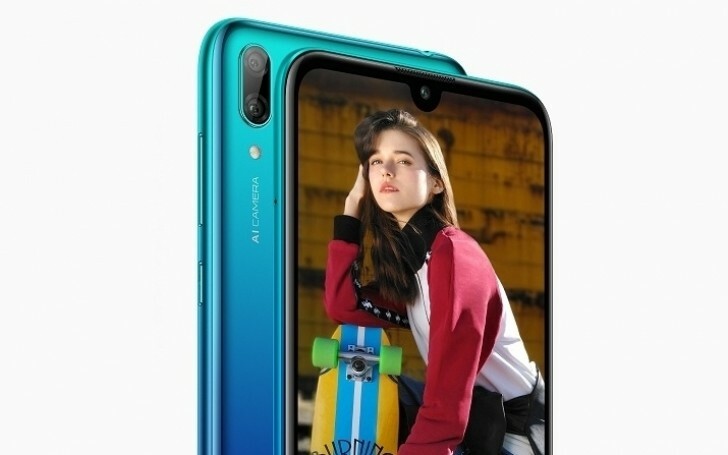 This latest smartphone just made appearance in Vietnam and looks similar to Huawei P Smart(2019) in body(build) but different in soul(internals). Huawei Y7 Pro(2019) smartphone is a 6.26-inch LCD panel display smartphone that runs on Android 8.1 Oreo with 4000Mah powerful battery capacity. This latest smartphone only has 3GB of RAM and 32GB internal space variant. 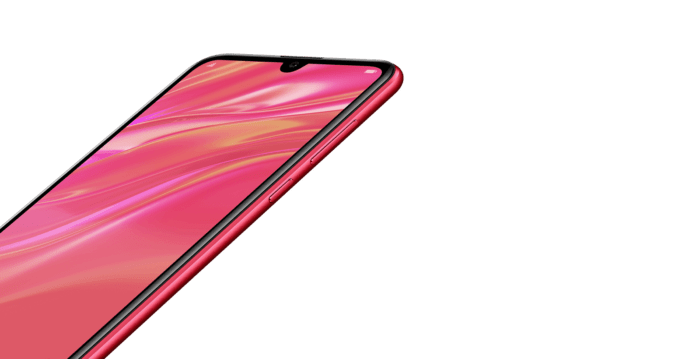 Just before you rush to buy this latest smartphone, spend some time to read the full reviews and specifications of Huawei Y7 Pro(2019). Huawei Y7 Pro(2019) smartphone comes with a 6.26-inch touchscreen display with a HD+ resolution of 720 pixels by 1520 pixels. The screen is wide enough for a full view display when viewing videos. The smartphone also has a wide water drop notch and a 19:9 ratio for a clearer and fuller picture experience. 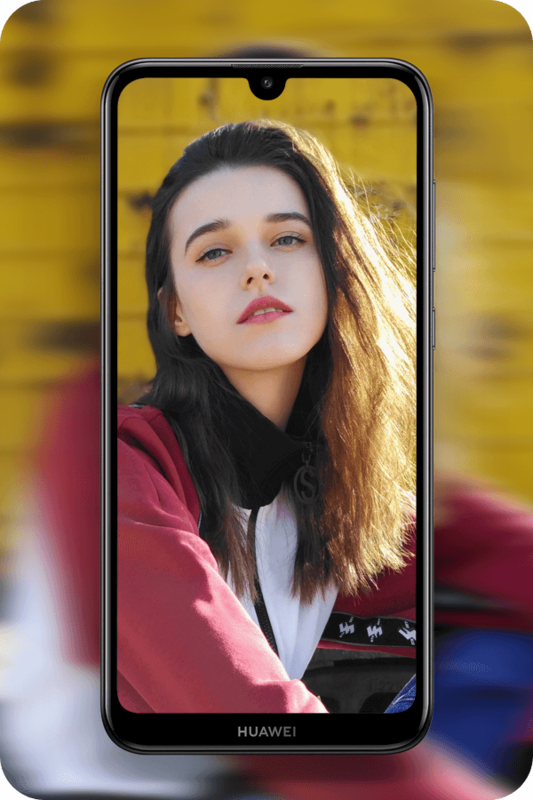 Based on design, Huawei Y7 Pro 2019 smartphone looks simple and elegant with a beautiful curved back face. This latest smartphone has a polished feel with a ceramic texture and smooth grip. handling this beautiful smartphone gives you a unique and comfortable feeling. This budget smartphone comes in Blue Aurora and Black colors. Huawei Y7 Pro 2019 latest smartphone comes with 13MP and 2MP Dual Rear shooter that helps to take smart photographs. The cameras comes with large aperture f/1.8 that helps to identify objects and focus better with more light. The pictures taken with this camera are clear and optimized in real time. On the front, there is 16MP camera with an auto-tweaking feature to deliver perfect photos. No need to edit photos Selfie because they have been adjusted to be your best image. Though the cameras are not the best but good enough for a budget smartphone of this nature. I am really a fan of beautiful smartphones with pretty big battery capacity. Especially here in the part of Africa i come from, where electricity seems to be a ‘scarce commodity’. Huawei Y7 Pro comes with powerful 4.000mAh battery capacity with AI energy saving technology to help you comfortably use on trips and enjoy life without having to plug in the device. The battery is good for a budget smartphone of this category but not as good as Tecno Pouvoir 2 Pro that comes with 5000mah battery. This latest smartphone comes with smart and efficient Qualcomm 450 eight chipset alongside 3GB + 32GB ROM for smooth experience while you are running multiple applications. HUAWEI Y7 Pro 2019 supports Micro SD card up to 512GB³ to store anything you need. The smartphone was just launched in Vietnam and can be found on the Vietnamese page of Huawei, as well as the online retailer Lazada. The price is VND3,990,000, or about $170/€150. Huawei Y7 Pro 2019 smartphone is beautiful and a budget smartphone launched on December 2018. Comes with an impressive battery and pretty good cameras.